The number of states resisting Medicaid expansion continues to dwindle. Earlier this year, Virginia finally joined the large majority of states by providing coverage to 400,000 people who had been locked out of the Affordable Care Act for years. “Supporters of a Medicaid expansion proposal cheered Wednesday after the Nebraska Supreme Court cleared away the last obstacle to voters having a say on the measure. The State Supreme Court ruled against a lawsuit filed by former State Sen. Mark Christensen of Imperial and Sen. Lydia Brasch of Bancroft that sought to keep the measure off the Nov. 6 ballot. The proposal, which will appear on the ballot as Initiative 427, already met the requirements for collecting petition signatures. Supporters submitted almost 137,000 signatures of registered voters in early July. Last month, Secretary of State John Gale certified almost 105,000 signatures as valid, far more than the 84,000 required to put the measure before voters. Let’s hope that Nebraska voters do the right thing by approving the proposal and that it sends another loud message to North Carolina Republicans that their destructive blockade on this issue must come to a close. “Would you vote to expand Medicaid under the Affordable Care Act? Hurricane Florence attacking south eastern and eastern NC brings attention to the massive poverty down there. Many people could not afford to leave, even with what had been a category 4 hurricane bearing down. Still, NC is expecting days and days more of flooding and the different devastation that flooding causes to individuals and communities. These areas of NC also need more jobs, especially decently paying jobs. With poverty comes lack of access to medical care. Poor areas are less likely to be able to support medical facilities. 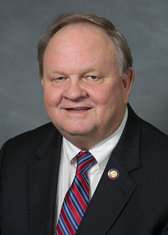 The #NCGA has been blocking Medicaid expansion for all of NC since 2013 when McCrory became governor. 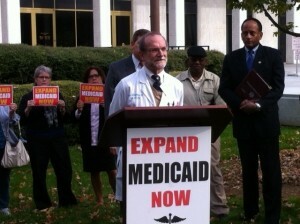 Medicaid expansion would bring health care, jobs, and mostly federal money TO ALL AREAS OF NC. This is not a partisan issue.